After two weeks (technically 17 days) of owning the best flagship of 2017, I walk with a certain prowess. You know, the kind of confidence one gets after making a purchase that took much studying, YouTube video watching, and most of all, waiting. But after 17 days, whether or not you have your G6, or still watching and salivating from afar, here are a few things I like and don’t like about 2017’s best flagship smartphone. The Screen: A sharp 5.7 inch ‘Full Vision’ screen governs most of the G6’s face. It’s roughly 80 percent of it, in fact. So that means a tall 18:9 (2:1) aspect ratio screen with small bezels. 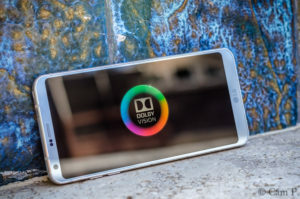 With the phone being about the same size as it’s predecessor, the LG G5, which boasted a 5.3 inch QHD display, it’s safe to say that my G6 is merely a [one-handed] handheld cinema screen. It also has the best direct sunlight viewing I’ve ever seen from any screen. It’s almost perfect. Why? Because of the practicality. 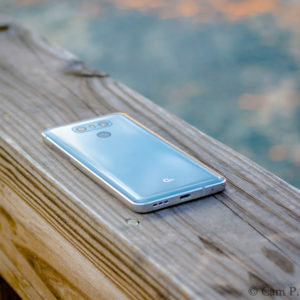 Not only is it ergonomic, which is essential for any handheld device, but it only makes sense rid a modern smartphone of heavy- looking bezel structures for the sake of it being, well, modern. Sorry, Google Pixel owners, but those bezels already make that well-crafted phone look outdated. I feel I can easily keep this phone for 2 years without acquiring the notorious millennial FOMO syndrome. Longevity, beautiful, longevity. And, no. The black bars that occur whilst viewing a YouTube video do not bother me. Soon, there will be a day when most media platforms provide viewing in 18:9 format. The Design: It’s beautiful. A combination of aluminum and Gorilla glass wrapped in LG’s Platinum colorway with a hint of sunlight makes for a beautiful smartphone. Again, the practicality of this phone is spectacular. The fingerprint scanner and home button work. The volume buttons work. And even that speaker hiding at the bottom-right of the phone works. While test driving the G5, I had issues with the speaker’s bottom-left placement as a right-hander because, while holding the phone horizontally for videos, my hand would muffle the sound. That was annoying. However, I’m glad to see LG saw this worthy of an update. Water and dust resistance were a must. Seriously, it’s 2017 and we’re more attached to these devices than ever before and rainy days aren’t going anywhere. LG had to sacrifice the removable battery option to accomplish this. I personally don’t care. However, I do care about IP68 ratings. Let’s be glad expandable memory and 3.5mm headphone jacks weren’t sacrificed. The Battery: I’ve yet to have any issues with this 3300mAh battery. Respectably, it’s 500mAh bigger than the G5’s battery, but, they both share Qualcomm’s Fast Charge 3.0 which does exactly what it says in it’s name. This yields a full battery in roughly an hour and surely it’s only on occasion when your phone is completely dead so you can expect a near-full battery in no time if you’re pressed for time. I often find myself dumbfounded at how fast my G6 gets from, say, 30 percent to 70 percent. Lighting-bolt emoji, amirite? Additionally, I have yet to have any issues with battery heat from heavy usage. It is an extreme task to get this phone to become warm to the touch. The UI: I would like to address the many complaints about there not being an app drawer when you first activate your G6. Chill, guys. LG did the same thing with the G5 so I’m not really sure why this is even a fuss. It’s an easy fix. Literally, if you press the on-screen center ‘Home’ button the phone will ask you which default ‘Home’ screen you want. Those options being: ‘Home’, ‘Easy Home’, and ‘Home & app drawer.’ BOOM! Now that that’s over with, the UI, in combination with this gorgeous pixel-dense screen, works seamlessly with much versatility. The on-screen buttons work well and they aren’t as big and obnoxious like older LG phones. Also, if you double-press the recent app button, it takes you right back to the app you were using before. So, say I’m on Twitter and I open a link to a YouTube video and my YouTube app opens. All I have to do is double-press that button and it quickly takes me right back to Twitter. Double-press again, and you can be watching another video. I like the Google Assistant feature and it’s easy accessibility. All you have to do is long-press the ‘home’ screen button. Although, I have had some issues with it in regards to it responding to my voice commands. There’s a ‘Smart Bulletin’ option in which you may add to your sequence of screens which has it’s uses, although very few. It takes up a whole screen; really it’s a screen of its own. If you utilize the LG Health app and keep track of your steps and exercises it can be practical. However, I’ll admit, it’s not as customization friendly as I’d prefer but I can get over it. For example, some widgets have fixed length by width sizes and it’s bit frustrating that I can’t get the “proper” width that I think looks right on different screens. The Camera: Truthfully, it can be better. It’s sharp, it’s versatile, and has awesome features that can utilize the 2:1 aspect ratio. Switching between regular and wide angle lenses is cool and you can do it without sacrificing quality unlike the G5. And I actually like the GoPro-esque distortion from the wide angle lens. But I think it’s too sharp. And that’s coming from a photographer. Personal credibility aside, the over-sharpening makes pictures look unnatural at times. It also has a lot of color fringing. Color fringing occurs when a lens is unable to bring all wavelengths of color to the same focal plane, and/or when wavelengths of color are focused at different positions in the focal plane. This yields pictures with objects having red, green, blue, yellow, purple, or magenta colored edges. It looks bad when you know what it is and can recognize it. Obviously, for a general user this won’t matter as much. With that, generally speaking, it’s a pretty good point and shoot camera that can give you bright and fun results. Unfortunately, Apple is still way ahead of the game in this area. This phone gives me so much confidence that I was willing to leave this review on a note that’s not-so-great. Despite the camera issues that, in my opinion, shouldn’t have even been present, are not dreadful enough to knock this phone from first place. 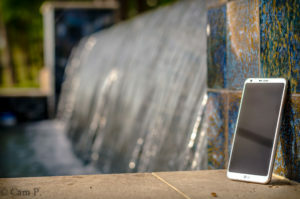 It’s everything a phone should be, however, it’s quite unfortunate that, nowadays, the quality of a phone’s camera can almost fully determine the quality of the phone itself. 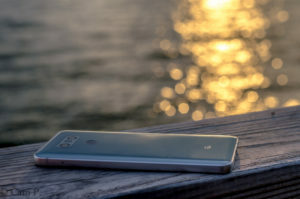 To conclude, we finally have a well rounded and competitive flagship from LG that is guaranteed to stand the test of time. Unarguably, it’s a hit in the year 2017 and I have no doubt that it will be a classic piece of tech in the future. A staple, even, for quality and balance, which is no small feat. 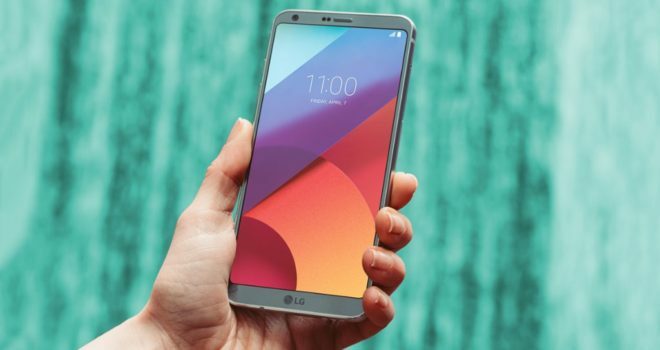 The new Android 7.0 software and the practicality of the hardware makes the LG G6 a special compound that I feel will be mimicked by flagships to come. But let’s face it: No phone can fly like the G6.